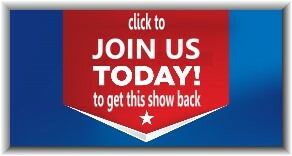 Undercovers TV Show Cancelled – JOIN US getting it back | I want my show back !! Ive been a fan of crime drama series since 1960 and have seen them all. Thats until the network suits cancel them instead of trying to save them by changing their time slots or the nights that theyre on. All i can say is this is one of the best what with its good writing, action and dynamic cast. BRING BACK UNDERCOVERS OR WE WILL NOT SUPPORT YOUR SPONSORS!